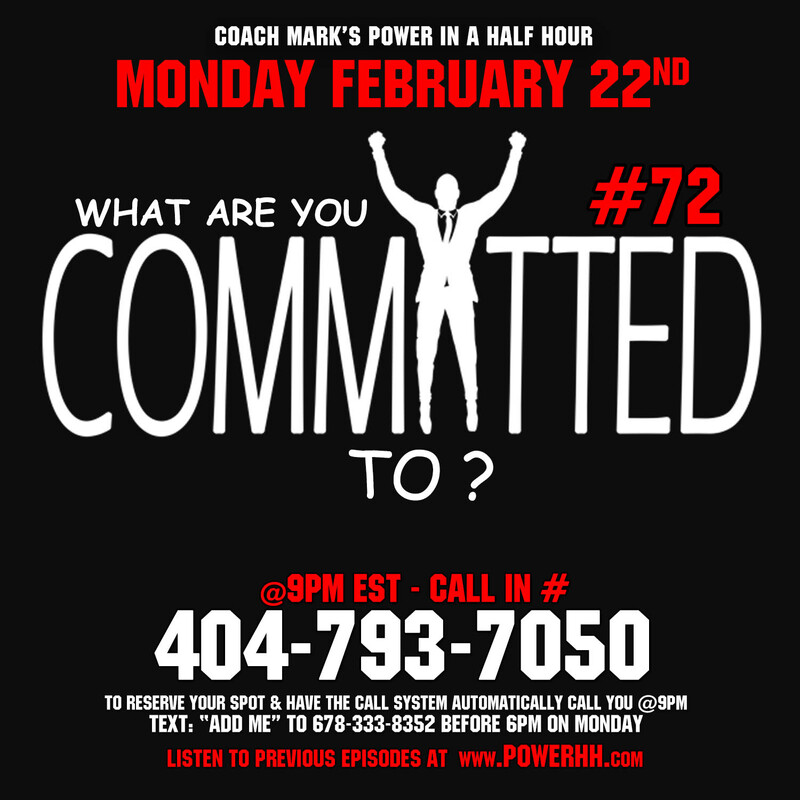 Episode 72: What Are You Committed To? Commitment is essential to being a winner and achieving our largest goals. Being dedicated and committed is part of growing and transcending to the next level. All people set goals and resolutions, and easily slip back into old habits. We are all haunted by the excuses and “yeah buts” that have cost us countless opportunities for growth and expansion. To truly grow and expand we must find an area of our life where commitment supersedes comfort. This week we will learn how to strengthen our commitment to success so we can become all that we can be. No Excuses!!! The majority people that don’t accomplish their Goals and Objectives in life are people that have developed the habit of continually making EXCUSES. EXCUSES are deadly to your success. They will kill your success. 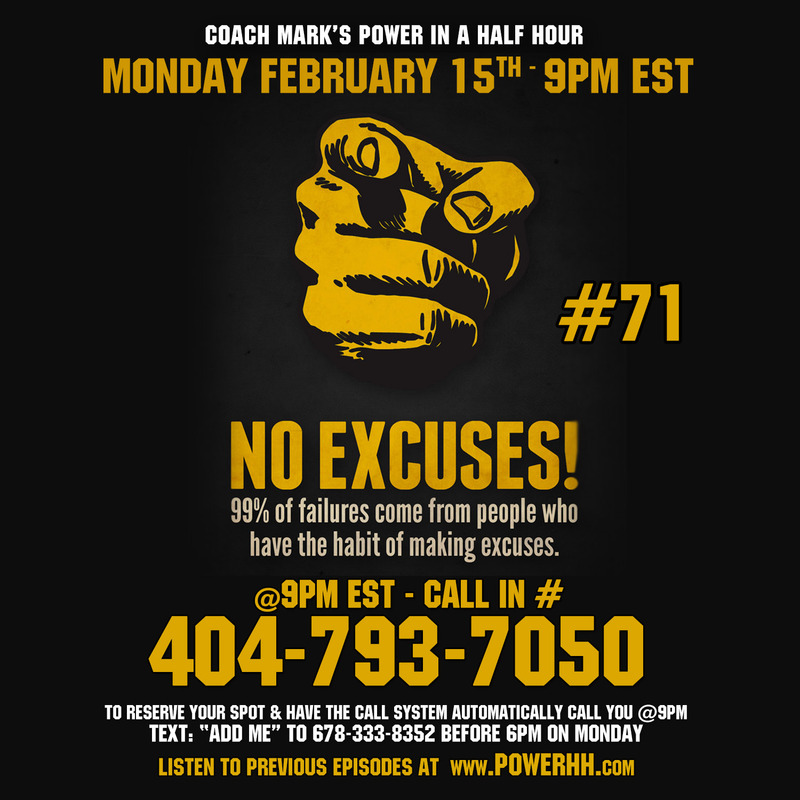 This week we will learn how destructive EXCUSES are, and how to prevent them from getting in the way of our progress. 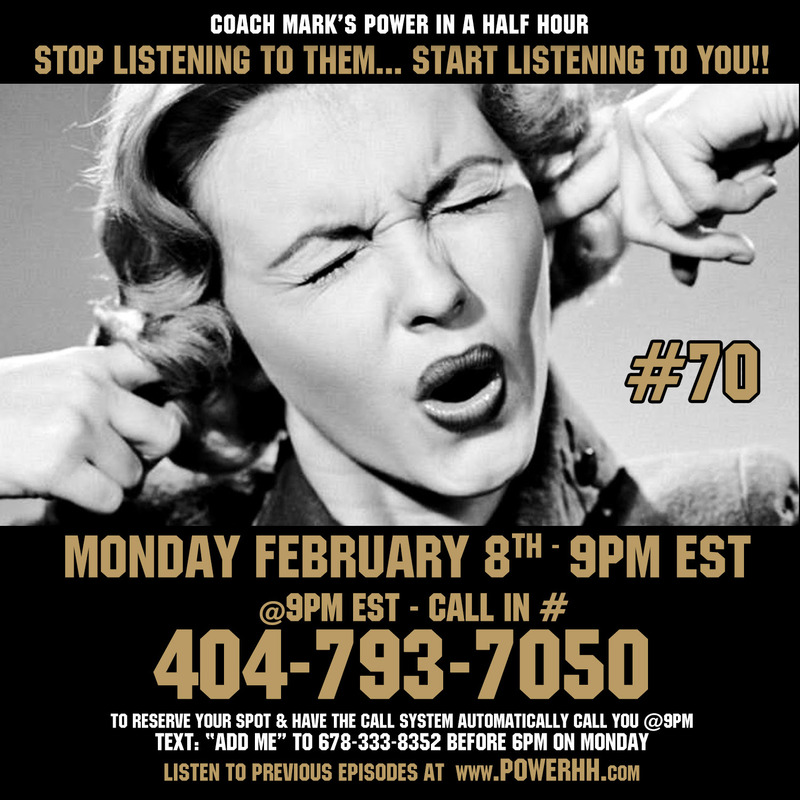 We will learn how to get rid of EXCUSES!! Who are you spending your time listening to? Most people spend most of their time listening to all the people that tell them about what they can’t do. STOP listening to them. STOP listening to the people that don’t want to see you grow. Start listening to your inner guide. Start listening to you. 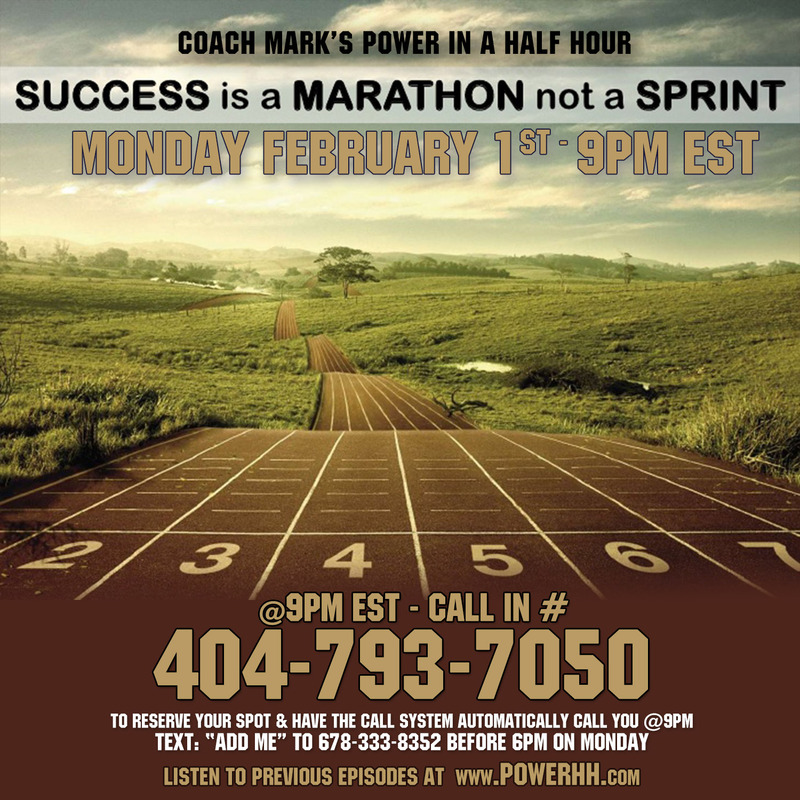 Episode 69: Success Is A Marathon, Not A Sprint!! The race isn’t for the swift, but for he or she that can endure. Your journey to success generally doesn’t come overnight. It’s like running a marathon. It will take some time, but if you stay on the course you will not only finish – you will also win. But you can’t stop. You gotta keep going. This week we will learn how to be more consistent and persistent. If there are two traits that everyone thats successful has, its Persistency & Consistency. Come learn these two skills and how you can apply them to your life. This is a can’t miss show.